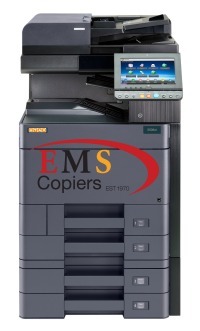 This flexible A3 colour MFP system is at the top of the Christmas wish list in many busy offices. With a growing trend to satisfy as many different user requirements as possible, this super user-friendly device is an essential in any office. The UTAX 2506ci and 3206ci multi functional systems have been specifically developed to meet these requirements. Alongside their routine tasks, the systems also manage more complex tasks such as 270-sheet dual scan original feeder* for fast scanning in a single operation and gentle handling of original documents. The systems conserve resources at the same time by allowing blank pages to be automatically filtered out during scanning and copying. The high print resolution of 1,200 dpi at full system speed also speaks for itself. Unbelievable flexibility: You can process up to 7,150 sheets from six paper feeds* for various media. Do you need different finishing options? We can offer you these! Everything is possible: from the space-saving internal finisher with 50-sheet stapling to a brochure finisher that also creates tri-folding for letters in addition to brochures with up to 64 A4 or A5 pages. Simplest operation: The menus of the large 9-inch colour touch display (picture diagonal: 22.86 cm) are intuitive to use. The systems also feature an NFC interface for direct printing from an Android smartphone or tablet. 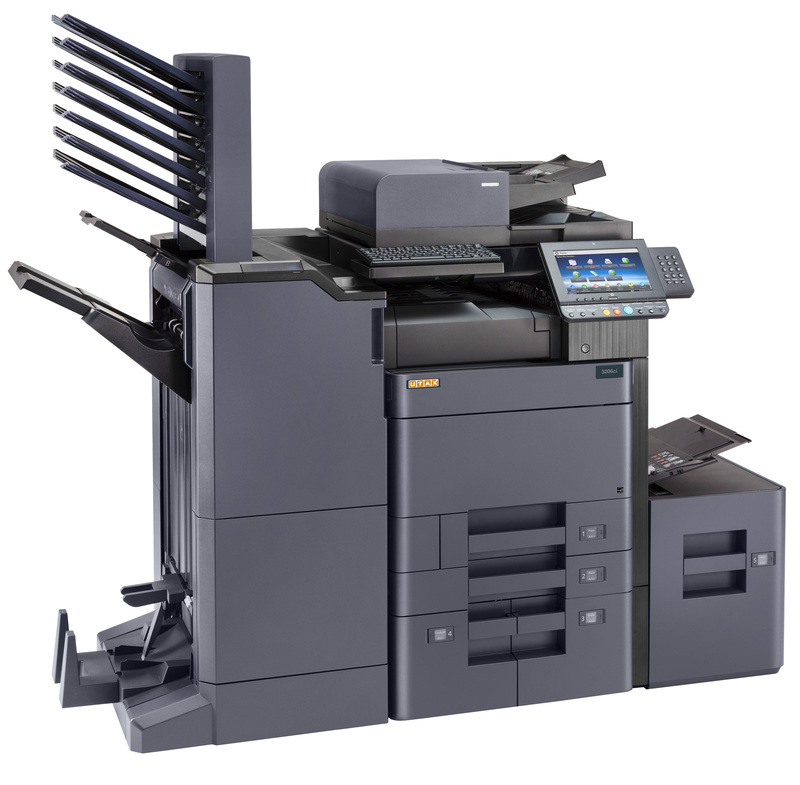 Professional printing: The 1,200 dpi resolution, newly developed toner, printing in SRA3 format and the option to process different paper thicknesses allow you to create highly professional documents in brilliant colour quality. Maximum security: The ‘Private Printing’ function ensures that print jobs can only be started directly on the system by authorised persons. This means that confidential documents actually remain confidential.